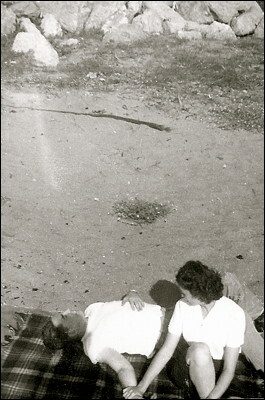 This is my parents (Shirrel & Fredene Doty) at the beach in 1946. There's no indication which beach they're at though there are photos of both the Smith River and the Rogue River during that same trip. The beach is probably near Crescent City, CA (a favorite during that time) or Harris Beach near Brookings, OR (a family favorite when I was growing up).